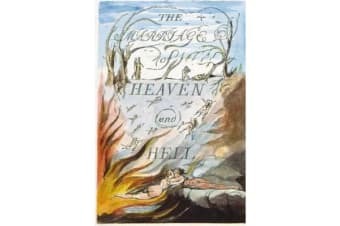 The Marriage of Heaven and Hell by William Blake – The Marriage of Heaven and Hell is a book by the English poet and printmaker William Blake. It is a series of texts written in imitation of biblical prophecy but expressing Blake’s own intensely personal Romantic and revolutionary beliefs. Like his other books, it was published as printed sheets from etched plates containing prose, poetry and illustrations. The plates were then coloured by Blake and his wife Catherine. The work was composed between 1790 and 1793, in the period of radical foment and political conflict immediately after the French Revolution. The title is an ironic reference to Emanuel Swedenborg’s theological work Heaven and Hell, published in Latin 33 years earlier. Swedenborg is directly cited and criticized by Blake in several places in the Marriage. 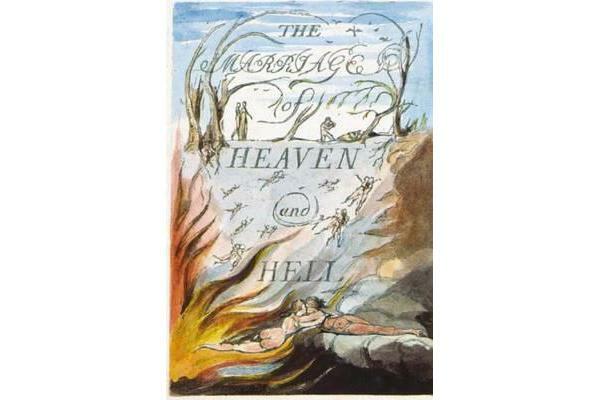 Though Blake was influenced by his grand and mystical cosmic conception, Swedenborg’s conventional moral structures and his Manichaean view of good and evil led Blake to express a deliberately depolarized and unified vision of the cosmos in which the material world and physical desire are equally part of the divine order; hence, a marriage of heaven and hell. The book is written in prose, except for the opening “Argument” and the “Song of Liberty.” The book describes the poet’s visit to Hell, a device adopted by Blake from Dante’s Divine Comedy and Milton’s Paradise Lost.